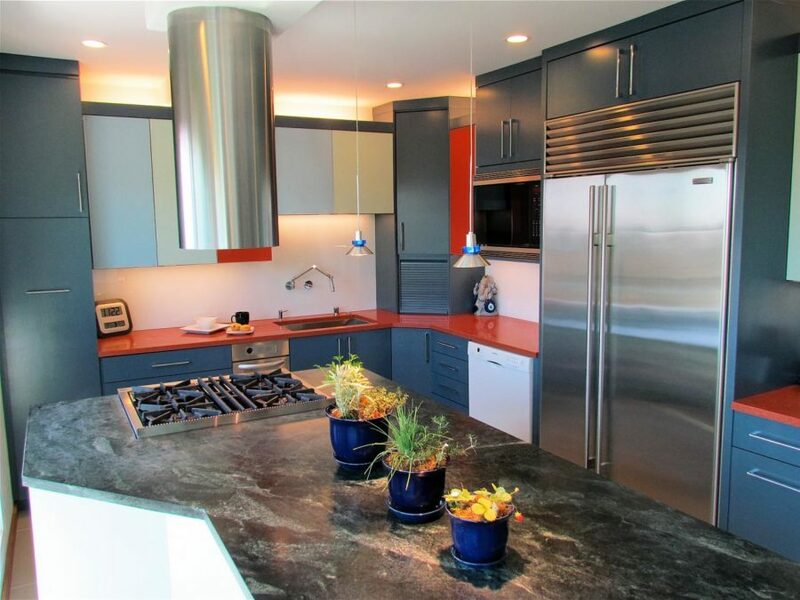 Your kitchen may be one of the last places you may consider adding a bold color to. 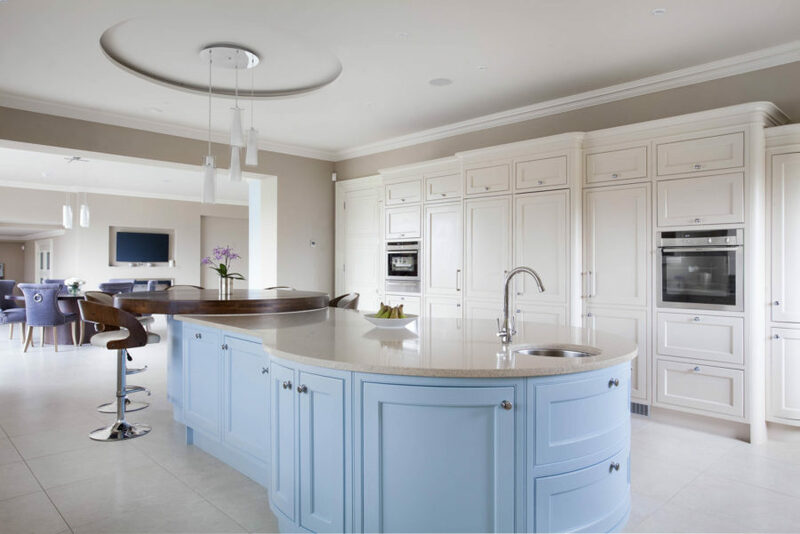 However, you may want to consider different shades of blue for your kitchen space. 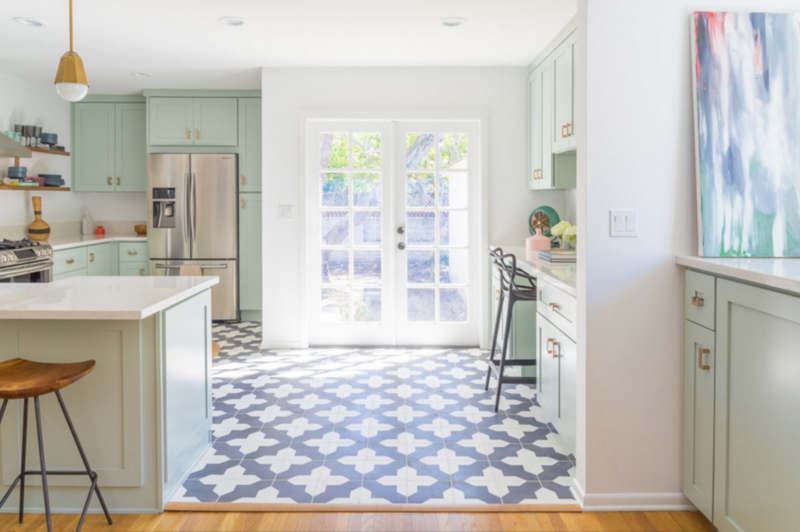 This versatile color has become all the rave when it comes to kitchen decor upgrades. 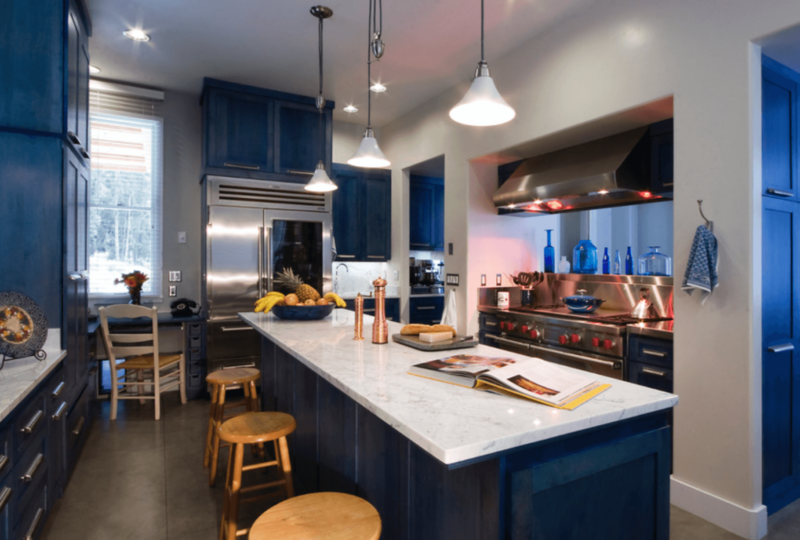 There are multiple different directions you can take when it comes to incorporating blue hues into the décor. But, our personal favorite is adding different shades of blue paint. The choices are endless from power blue back drop options to navy, aqua or pastel tones. 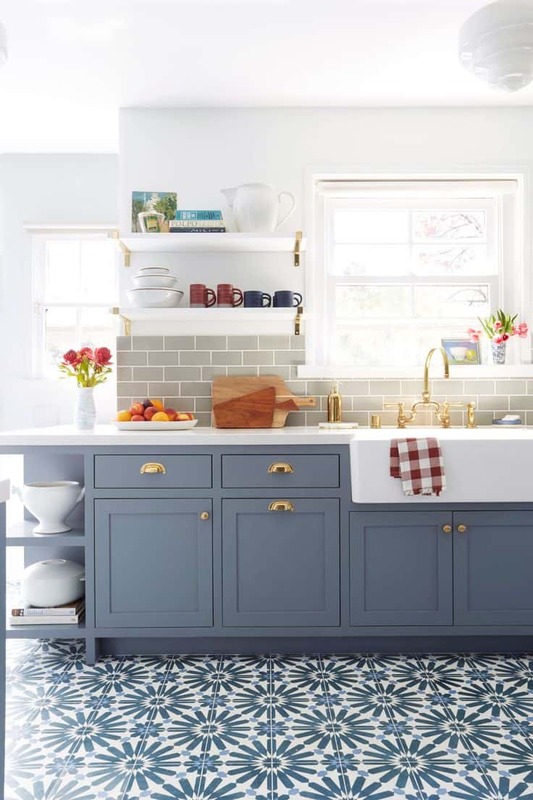 Here are blue paint colors to use in your kitchen for a chic and modern upgrade. For a fresh look light blue is the way to go. It’s a cool color that feels relaxing while commanding your attention. Pair this tone with beige, tan and/or gray accents for the ultimate calming space. If you feel like being adventurous there is always the option of using multiple different shades of blue. 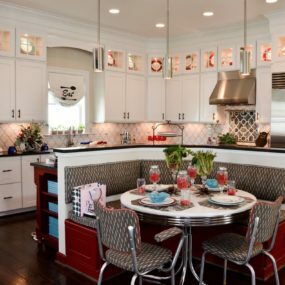 The key to doing so is using the lighter hue on the walls while the darker tones should be placed on the cabinetry and/or the island. The best colors for this look are pastel tones mixed with navy shades. The bounce off of one another very well and create a soft feeling in the room. Power blues are a bit tricky to define as they range in an extensive amount of shades. 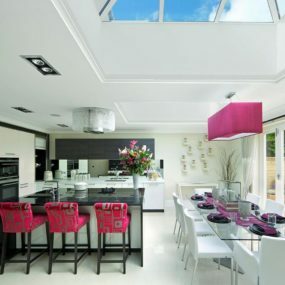 However, if you are looking to create a country feel to your kitchen that is the shade you should seek. 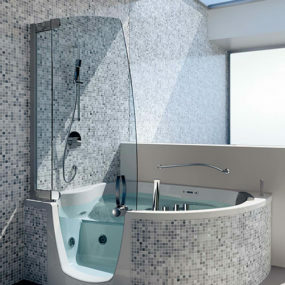 It is clean and crisp with a homey feeling. There is something about a powder blue wall or accents that will remind you of being in your grandparent’s home. 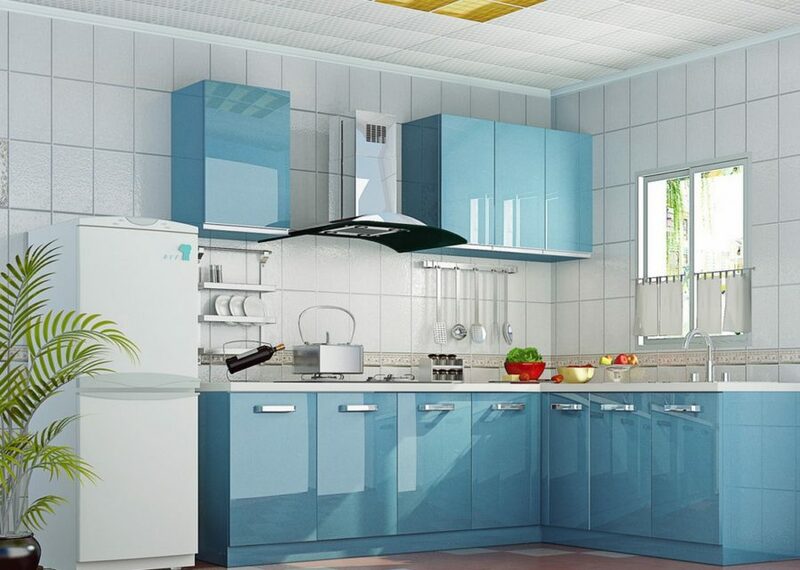 Paint your cabinets and counters an aqua blue shade to brighten up the space. Aqua blue has always been notorious for being difficult to work with as not many other colors work well with it. Instead, they tend to almost collide. 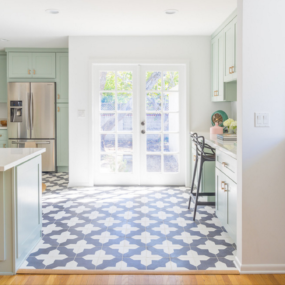 In order to work with aqua blue, you need to have white, gray, or black accents in the kitchen this will neutralize the color while still having a full accent effect. Navy blue has been quite popular this year. 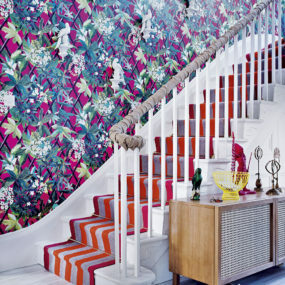 Many interior designers would consider it the “it” color. 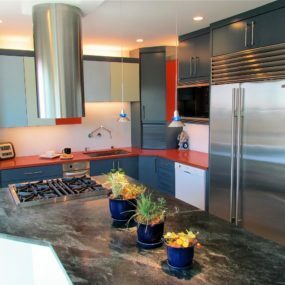 In fact, navy blue can ultimately be featured anywhere in your home and the kitchen is no exception. Navy blue looks good anywhere it is placed. The key to working with this color is having other items that are lighter in color or neutral tone. This will make the color less overwhelming and more-full of life. 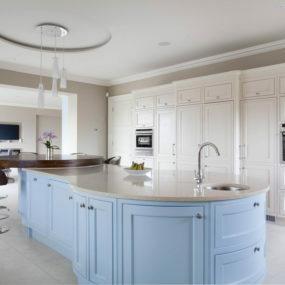 This intense shade of blue is anything but shy it gives your kitchen the elegance and sophistication you may seek. It works very well when pair with wooden elements such as wooden countertops in the kitchen. 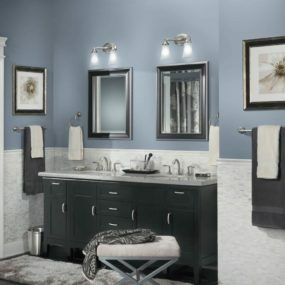 If you are not so sure if you would like to work with a bold color like blue choose a gray blue instead of any other neutral tone you typically would. A blue color with a gray undertone will give you the color effect you want while still being very neutral. 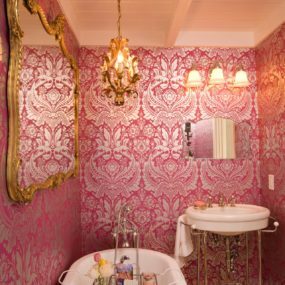 This color goes well with any décor and color scheme you may have going on. 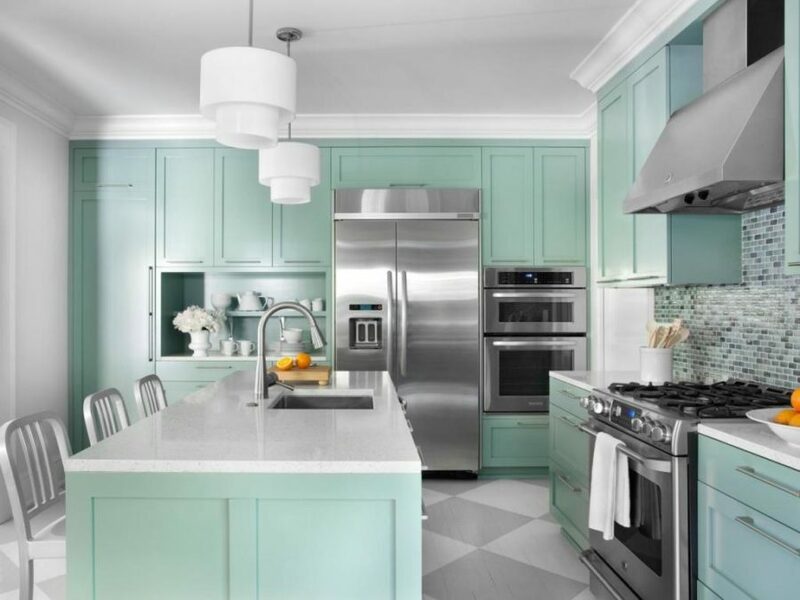 Pastel colors are perfect for a fun twist in a kitchen they are not as noticeable as bolder shades of blue but they sure hold a punch. You can also choose to decorate with accents in pastel blue hues. Greenish blue is pretty understated in our opinion. You don’t really hear interior designers mention this hue of blue. However, it is one of the most versatile shades of blue. 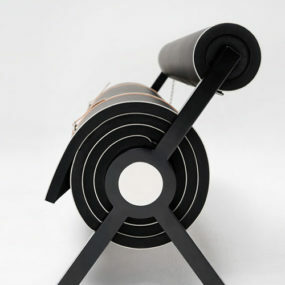 It works well with all other colors while bringing a dimensional sense to the space it is used on. 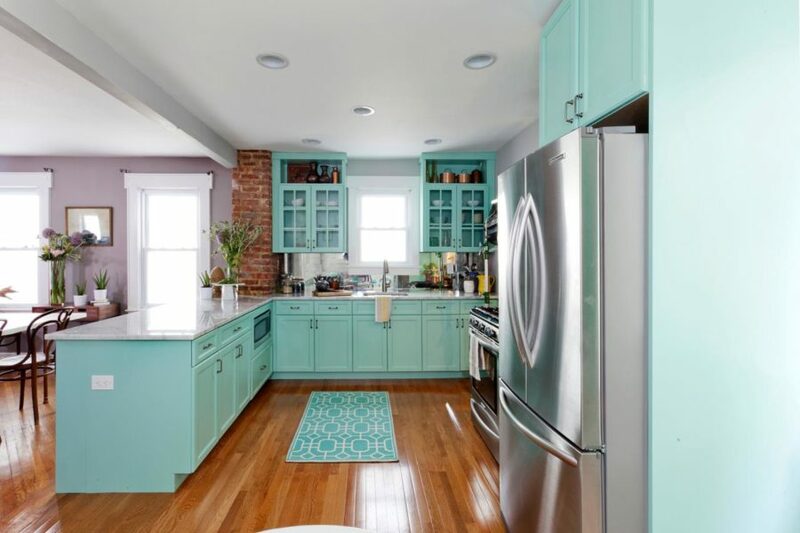 This color works well on kitchen islands or even on the ceiling. 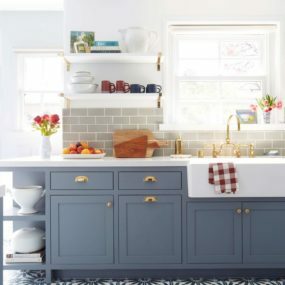 Although this is not technically a shade blue it is an option for those that want to incorporate shades of blue in their kitchen but do not want to necessarily paint. The next best thing is blue floors. 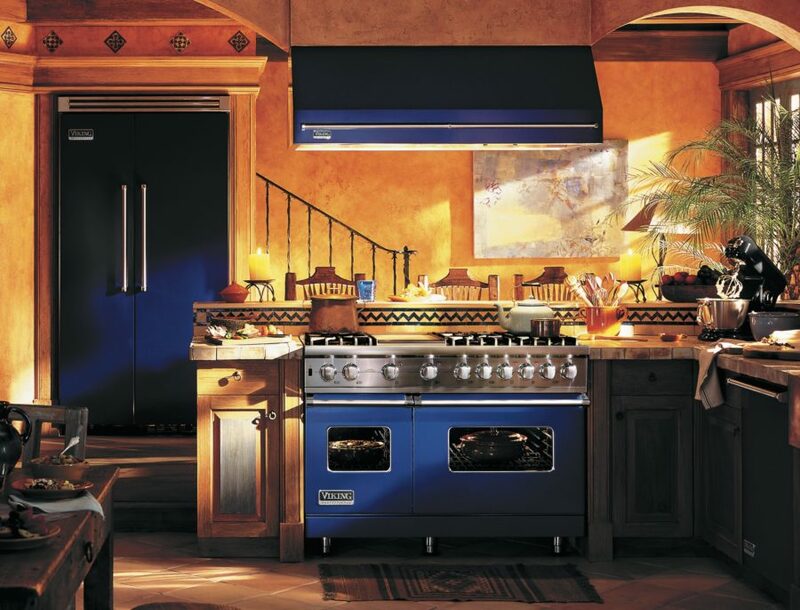 Consider having blue tiles as part of a statement in your kitchen that gives your space the pop of blue you desire. 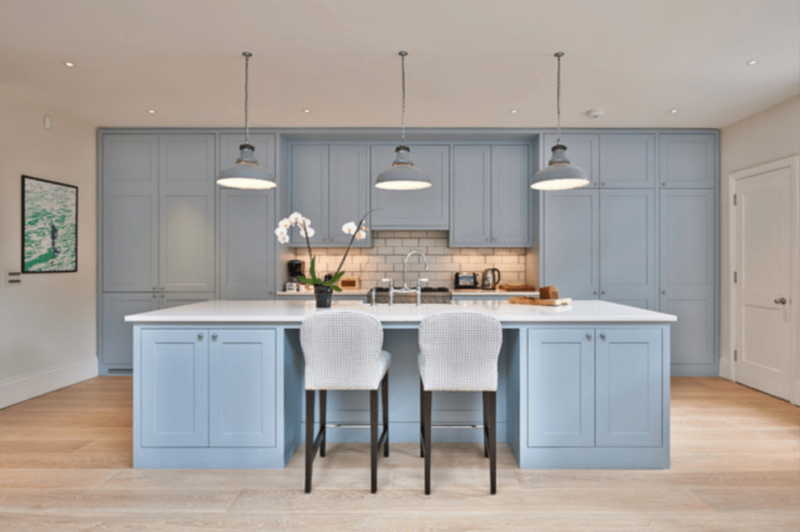 With such a large spectrum of shades of blue available that can enhance your kitchen décor, it should be on your to do list to add the color blue to your space. Let us know which shade of you will want to add to your kitchen.